Looking to buy jewelry directly from fashion jewellery manufacturers in China? 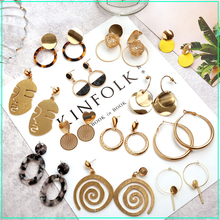 Sourcing aimlessly from tremendous jewelry suppliers on ALIBABA can be quite a daunting and time-consuming task, the worst part is most jewelry manufacturers on ALIBABA turn out to be trading companies with price at least 30-40% or even 100% higher than buying directly from jewelry factories in China. Some people might think about venturing out to China and source jewellery suppliers from China jewelry markets but paralyzed by the lack of information online as to where to begin the searches. If you are planning to do a jewelry market research in China, Taikang Plaza jewelry wholesale market in Guangzhou is something not to be missed. Taikang Plaza, situated at No. 111 Taikang Road, is strategically located with Beijing Pedestrian Street in the north, Huilong Road in the west and is adjacent to metro line 2 Haizhu square. Taikang Plaza is a bustling business center, attracting a great flow of visitors everyday with lots of stores, hotels, wholesale markets, etc. nearby. Huaxia hotel, Guangzhou hotel in the neighborhood offer convenient accommodation after a hectic day visiting the nearby markets covering Haiyin Binfen Plaza, Yiyuan Stationery Market, Beijing Pedestrian Street, Taikang Building Material Market, Onelink Toys&Gifts Plaza, Guangzhou Dried Seafood Market, Jiefang Road Shoes Wholesale Market, etc. The 1st to the 4th floors is a large fashion jewelry wholesale market in Guangzhou with a marketing area of over 500 stores. 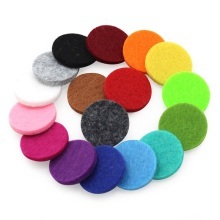 Its products cover diverse species including China fashion jewellery, headgear, boutonniere, belts, necklace, bracelet, hats, leggings, phone accessories, etc. Its products are dispatched to more than 30 provinces in China, Macau, Hongkong, Taiwan, Southeast Asia, East Europe, Middle East, etc. Each day it draws about 10,000 visitors and each year the deals reach more than 100 million yuan. Most of the products at Taikang Plaza Jewelry Market are of middle or low quality at low price. Take Metro line 2 or line 6 to Haizhu Square, exit B2, cross the street, walk straight for about 150 meters and then you’ll see it on your right. If you are looking to buy cheap jewelry with average to poor quality, small minimum order quantity, Taikang Plaza jewellery market makes a good option. However, if you are looking for premium quality, unique design at reasonable price, it’s best to avoid jewellery wholesale markets in China as at least 90% of sellers are just middleman, knowing nothing about jewelry, quality control, service. Cash is the only thing they can see in their eyes. To overcome the huge spike of prices in Guangzhou jewelry wholesale markets, I’ve created a joint venture with an Italian fashion, jewelry designer with over 15 years of experience manufacturing clothes and jewelry in Guangzhou, China. i am interested in premium jewelry. would love more information. i have a jewelry brand. looking for a new wholesaler. Hi Kris, thanks for reaching out. Please email us service@business-in-guangzhou.com pictures for reference, quantity, budget and other requirements, thanks. 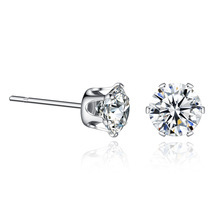 hi im looking for 925 sterling silver wholesaler cubic zirconia and plain ring earring pendant and opal .how can i contact you guys so we can communicate?im from USA im a wholeseller .and looking for a good price merchandise.im ordering quantity.and i want a good quality sterling silver . Hi Jennifer, thanks for reaching out. Kindly email us service@business-in-guangzhou.com what kind of jewelry you are looking for, quantities, budget please, thanks. Hi Ebenezer, thanks for reaching out. Please email us service@business-in-guangzhou.com details of jewelry you’re looking for, pictures, quantity, budget, etc, thanks. Hi Kai, thanks for reaching out. We’ve just emailed back you, thanks. 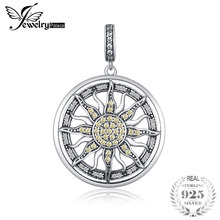 Would you help in finding a wholesale market of ladies costume jewelry market in Beijing where the shopper is given a bicycle to travel around and shop.